The murder by ISIS of Khaled al-Asaad, 82, a renowned Syrian archaeologist and scholar, was a heinous act. His death is a blow to Syria and the world’s cultural heritage. What possesses a person to cleave so to an ideal that he would give up his own life? As social media spread the details of Asaad’s death, there was sincere horror and disgust at the price of his refusal to disclose where Palmyra’s antiquities had been hidden. Asaad, with more than 50 years as head of antiquities in Palmyra, along with other officials, had spirited away many of the artifacts that undoubtedly would have ended up being sold on the black market, fetching the high prices that fuel ISIS’ activities. How many of us have something we cherish? Maybe it’s a photo of a deceased parent, a child’s playful curl of hair, a tattered movie stub from a first date, a vintage car, an heirloom, an award for a hard-won achievement—the list goes on, personally, meaningfully, for each of us. Our lives are shaped by our memories of the past and the memories that we forge every day. 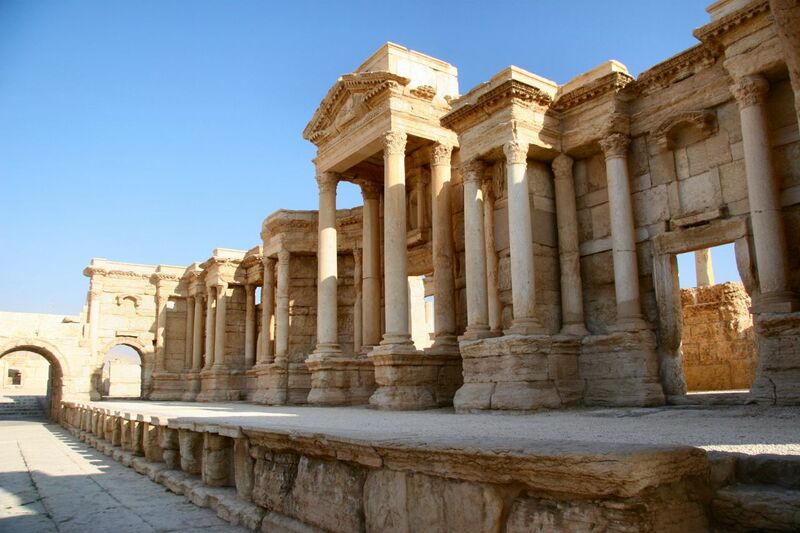 Asaad cherished Palmyra as his treasure, and more importantly, as the world’s treasure. He died not for a pile of old stones or statues, but for the collective history of mankind that is being systematically destroyed in his country. His death is not just a blow to archaeologists or those who appreciate antiquity. It is a blow to everyone who understands how this man carried history on his shoulders. He gave his life so that a piece of our collective history, our shared experience on this earth, could survive senseless brutality. Ideologues are absolute in their beliefs and actions. A primary reason is fear. Fear of change, fear of the unknown, fear that power will be stripped away. Absent a cohesive agenda for sustaining change, they turn to violence as a way to subdue and impose their world view. Of course ancient lives don’t matter to them, and of course the remnants of these previous civilizations are dangerous reminders of a heritage that preceded them. A heritage they may never attain, in fact. So obliterating these sites ensures that the world knows that history doesn’t influence the present. Memory is futile. Asaad understood the value of memory. For those who appreciate past civilizations, it is not an esoteric enterprise. It is one that is of a higher calling, one that sees in the wide sweep of humanity the threads of connectedness: glories and tragedies, wisdom and ignorance, the best and very worst of humankind. Asaad gave his life clinging to the remembered heritage of his country. He knew, even if others did not, that these treasures drew from the soul of Syria. In a world often oblivious to the demise of our archaeological legacy, Asaad showed us the power of memory as he lived it. AntiquityNOW honors him and the gift of his vision for Syria and for all the places around the world echoing lives past. This entry was posted in AntiquityNOW Forum, Architecture, Blog, Crime, Culture, Human Rights, Public Life and tagged AntiquityNOW, archaeologist, cultural heritage, cultural preservation, ISIL, Isis, Islamic militants, Islamic State, Khaled al-Asaad, murder, Palmyra, Syria. Bookmark the permalink.